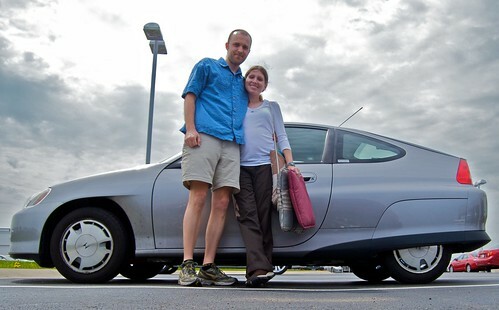 We've been putting this off for a few months, but this morning we finally traded in our beloved 2002 Insight for a new 2009 Prius. It was sad to see the Insight go, but we needed a car with a back seat now that Fig is on the way. 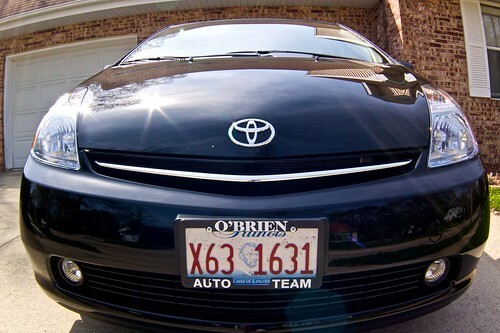 We had a very pleasant experience buying the car from O'Brien Toyota in Urbana. It did take much longer than either of us expected (nearly four hours!). I guess it's good to be thorough though. I think FIG is going to love it. Lots of room in the backseat for Fig. I was going to make you an offer on the INSIGHT, but i guess it's too late now. Good choice. Great car and great looking! it looks like a happy car. 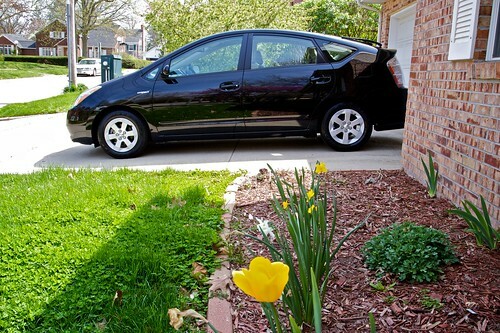 Congratulations; I love my '07 Prius, but I'd love one of the 2010 ones even more (with the solar sunroof).